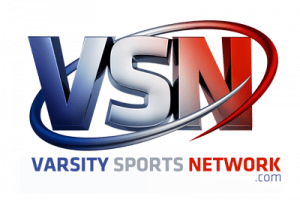 VSN’s annual top awards in baseball go to three outstanding individuals who demonstrated tremendous devotion to team and school, while leading through example and outstanding performance. Our Player/Pitcher of the Year, Archbishop Curley’s Paul Nixon, dominated on the mound and at the plate while emerging in a family environment that meant the world to him. His coach, Brooks Norris, our 2018 Coach of the Year, set the tone for that environment, as a Curley legacy. The 2018 Offensive Player of the Year is Ryan Archibald of John Carroll, a three-year starter with the Patriots after transferring from California, who provided a leadership example that elevated his entire team to all-time heights. Few high school baseball players have ever been as dominant a two-way player as top-ranked Archbishop Curley’s Paul Nixon was in 2018. Impact player and intimidating presence coupled with vast talent might be an understatement for this young man who has been named the VSN Player/Pitcher of the Year for 2018. Nixon, a 6-foot-3 and 240-pound stud, was the metro area’s DOMINATOR in pitching and batting the Friars to the MIAA A Conference championship and the No. 1 ranking in the VSN TOP 20 that covers Baltimore City and six counties. The strong senior had nine wins as a hard-throwing right-hander and 10 dingers with 43 RBI’s among a litany of outstanding stats to lead the Friars to a gaudy 28-4 overall record. According to Max Preps, Nixon led state pitchers with his nine wins and tied left-hander Xavier Marmol of Mount Airy Christian Academy for the state lead in strikeouts with 82. John Carroll’s Nick Collier was next with 81. With the bat, Nixon led the state in home runs tying Friar teammate, junior shortstop Tyler Locklear with 10 each, and Nixon was second in RBI’s with 43 to the 54 by Riverdale Baptist outfielder Corey Rosier. His 43 runs batted in rank third on Curley’s all-time list behind Mike Costello’s metro area record 58 in 1999 and Dan Prevatt’s 47 in 2001. Coach Norris played with those two standouts on those teams that won MIAA A Conference championships as well. Other pitching stats by Nixon included 61 innings pitched, 41 hits yielded, just 13 walks, 21 of 24 runs earned for a 2.41 ERA. His only losses came to No. 15 Calvert Hall, a game in which he pitched only three innings and left down by 1-0. The Friars would lose that game, 9-4. His other loss came at the hands of Riverdale Baptist, another game in which he pitched just three innings. Nixon notched three wins over No. 17 Gilman, two in the A Conference tournament by 4-3 and the clinching final by 8-3 as the big guy struck out nine in six innings of work. He also posted two wins each over No. 8 Loyola and No. 18 Archbishop Spalding. The other two victories came over Mount St. Joseph and No. 5 John Carroll. His victory over JC came on May 1 by 9-2 to push the Friars into first-place and soon there after they clinched the top seed in the A Conference tournament. Nixon went all seven innings, on only 90 pitches, giving up seven hits – four in the first inning when he gave up the two runs and three hits in the final frame. Nixon then would bear down and get out of the last inning with his 10th and 11th strikeouts, a season high, of the game. He did not walk a batter in the big game. Harford Community College, site of the MIAA finals, will be Nixon’s team next season as he sets out to possibly pitch at a four-year university after two seasons or possibly turn pro which may very well be in his future. Nixon said if pro baseball is not in his future, he will pursue nursing. The young man credits his grandmother for where he is today. She has singlehandedly raised he and his brother, Damond, who also played at Curley and graduated in 2016. After playing with Paul, who was a sophomore in ’16, Damond went on to play at Mount St. Mary’s for a year. Nixon says he and Damond will be indebted to their grandmother and the Archbishop Curley experience forever. Nixon is a young man with integrity who most observers believe is headed for a bright future in baseball and life. He leaves the Curley brotherhood knowing that he left it all on the diamond for the Friars as he was the DOMINATOR in 2018. Arguably the finest baseball season in John Carroll School history was propelled by an implant from the West coast. Ryan Archibald and his family moved from California because of his father’s job change, three years ago and took up residence in the Bel Air area with Ryan enrolling in the Catholic high school and quickly adjusting to high school baseball in Maryland and the MIAA A Conference. The presence of Archibald in a Patriots’ uniform played a major role in the rise of John Carroll from “just one of the MIAA A Conference teams” into a serious league contender as “one of the top teams” in the conference. Archibald led his team with a believed to be a robust school record .506 (39-for-77) batting clip that included seven dingers, 10 doubles, 32 RBI’s, 31 runs scored and a .935 slugging percentage as the Patriots reached heights never before attained. Archibald, who committed to the University of Arizona before coming East, is the 2018 VSN Offensive Player of the Year. John Carroll was ranked No. 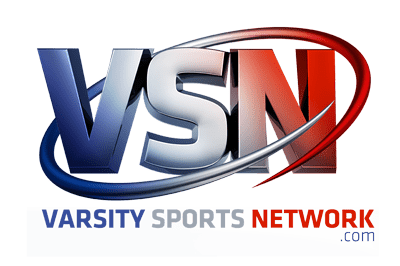 16 in the VSN Preseason poll and was tabbed by VSN as “the sleeper in the A Conference.” By April 16, with its 13-0 record, the Patriots soared to No. 1 in the VSN Top 20 with Archibald leading the way. Slipping a bit as Archbishop Curley continued its sizzling surge as the teams came down the stretch, the Patriots dipped to No. 2 with the Friars taking hold of No. 1 the rest of the way, John Carroll finished ranked No. 5 with an overall 20-6 record, including a 1-2 mark in the A Conference double elimination tournament. John Carroll had never been ranked No. 1 in the local polls and the No. 5 ranking at season’s end was its highest finish. Archibald had much to do with the banner 2018 season by John Carroll and the personable, dedicated young man credited intense extra work in the gym in our VSN video interview for his super finish to his high school career. His sweet swing from the left side along with his strong and athletic 6-foot-2, 215-pound frame, good hands at third base, strong arm and overall make-up that includes an intense work ethic made him a model player whose demeanor obviously rubbed off on his teammates. By this season, his senior year, Archibald was the leader that coach Darrion Siler hoped he would be. “Ryan is a great kid with high character,” said John Carroll coach Darrion Siler a former professional player. “He’s always working to get better and he has in his three years here. He was a great example for our younger players as to what it takes to be successful in baseball and as a person. Archibald gave his coach and teammates a lot to be proud of as his offensive numbers indicate, but that was not all he did. He also pitched going 3-1 with two saves and an ERA of 2.69 in 28.2 innings. with 40 strikeouts and just 11 walks. During his three years at John Carroll, Archibald played every position on the diamond and when injuries beset the Patriots last spring, he became the starting catcher at the end of the 2017 campaign. His versatility, which also enabled him to spend time on the John Carroll football team in the fall, is a high level asset as he pursues his college career at Arizona and a quite likely professional career as well. Archibald expects to DH and possibly catch and play third base in his freshman year at Arizona and after the senior third baseman graduates in 2019, he hopes to slide into the hot corner position. He will definitely work hard to succeed at the NCAA D-1 level and hopefully get a chance at pro baseball thereafter. If a professional career doesn’t evolve for him down the road, he will get into the business field a la his dad. “I expect Ryan to do well at Arizona and be very successful in college,” coach Siler added. Steeped in baseball knowledge and tradition via his iconic father and a host of other well-schooled baseball men, coach Brooks Norris fulfilled expectations that many believed he would and led his alma mater, Archbishop Curley to the top of the mountain in local high school baseball this spring. Norris led the Friars of Curley, where brotherhood is a way of life, to the pinnacle of the MIAA A Conference, winning the dual crowns of the regular season and post season tournament titles, posting an easily area best overall record of 28-4 and taking the No. 1 ranking in the VSN Top 20 for the very first time. The remarkable season brought the East Baltimore Friars their first MIAA A Conference championship since 2001 when Norris was a key player under late legendary coach Al Frank. The 28 wins was second only in the state this spring to the 32-1 season run up by independent Riverdale Baptist and coach Ryan Terrill. Completing his seventh season as Curley’s head coach with his father Tim Norris as his third base coach, Brooks Norris witnessed the results of hard work and preparation with the ultimate as the goal. “We (coaching staff) were not surprised that this team accomplished what they did,” said coach Norris. “We trusted our seniors, and we had a great group, knew how to play and win. We had gotten them ready for this over the last three years. We actually thought they were going to have the kind of season we had this spring last year, but it came a year later. Norris was quick to credit his staff – associate head coach Tim Norris, Jorge Maldonado, the ageless Bill Walter, Tom Holcomb, Mitchell Sutton and Matt Wilson – for helping him mold the Friars into an outstanding group. That was an understatement because as time goes on, the 2018 Curley baseball team will go down as one of the premier teams to ever play in the Baltimore metro area. The champion Friars had arguably the metro area’s top ace in VSN Player/Pitcher of the Year Paul Nixon to pitch the big games, an outstanding senior catcher in Trent Gast-Woodard, superb remainder strength up-the-middle in junior shortstop Tyler Locklear and senior second baseman Nick Richardson and senior centerfielder Jalen March. Corey Burton, right-fielder/pitcher, was the sixth senior of 11 total 12th graders, who started for the Friars. “We got a lot of leadership from our seniors, especially Paul (Nixon), Trent (Gast-Woodard) and Corey (Burton),” said Norris, who led the school to its 7th MIAA or MSA A Conference Championship, the first six under the late coach Frank. Norris was a pitcher/first baseman under Frank, who is fourth on the Maryland all-time career coaching wins list with 546 victories, on the latter’s last two championships in 1999 and 2001. Tim Norris was the ace pitcher of the 1978 Curley team that won the MSA A title and he did it on his graduation day before going on to pitch in the Baltimore Orioles minor league system and being a roommate of Cal Ripken. Jr. at Bluefield. Brooks Norris, who also won the MIAA on his graduation day before going onto pitch at the University of Maryland, credits his dad for most of his baseball know-how and coaching influence. “Brooks has Tim’s genes and is old school with his approach,” said Baltimore Orioles mid-Atlantic scouting supervisor, Dean Albany, who also coached Brooks on the Youse’s (Walter, great scout and legendary founder of Leone’s, Johnny’s, Corrigan’s amateur teams that became) Orioles summer team. According to Albany, Norris was a “heady pitcher/first baseman like Nixon” on three of an unprecedented six straight All-American Amateur Baseball Association (AAABA) National 19 & Under Championships in storied Johnstown, Pa. coached by Albany before he got into big time scouting with the Orioles. The Norris’ and Albany built the Maryland Orioles amateur under 19 teams into national powers tracing the footsteps of the Little Orioles. Brooks Norris has baseball in his blood and the brotherhood (is emblazoned on the school walls) of Archbishop Curley as well. The father/son duo of Brooks and Tim Norris coaching a major championship team might be a first. The Terry and Ryan Terrill father/son combo at Riverdale Baptist has been extremely successful, but they do not play in a league or conference and instead play an independent schedule as mentioned above. Ryan Terrill coached with his dad before taking the reins in 2014 when his dad, Terry retired. Around here we’ll take the Norris duo.